A suite at the new Faena Hotel Miami Beach. 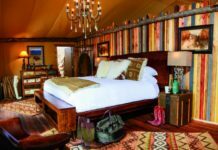 Here a few addendums to the Florida’s 2016 Hotel Forecast article we published last November with a peek at a newcomer arriving in 2017. 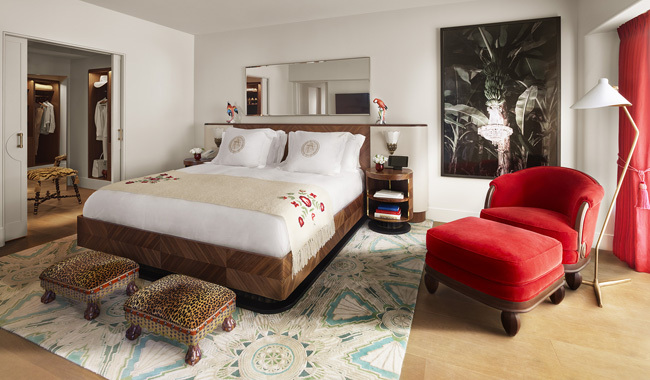 The 169-guestroom Faena Hotel Miami Beach, a Virtuoso member, opened last month at the former location of the 1947-built Saxony Hotel, marking the first phase of openings in the new Faena District Miami Beach neighborhood, located between the Atlantic Ocean and Indian Creek (32nd Street through 36th Street). The brainchild of Alan Faena and Len Blavatnik, the Faena District hopes to spur a cultural renaissance in Miami with the openings of Faena House, a recently opened 18-story condominium; Faena Art, an arts and cultural organization; Faena Forum, a public venue showcasing unconventional projects; Casa Claridge’s, a beachside guesthouse; and Faena Bazaar, a retail space. The hotel itself features a 1950s glamour-inspired style with Art Deco elements, hardwood floors, and sumptuous Faena Red velvet and cool-blue tiled bathrooms. Experience Managers are available pre-arrival to help guests with arrival and departure arrangements, while a dedicated Faena Butler is assigned to each floor to help onsite requests. Guests can soak up some rays at the Faena Hotel Miami Beach’s palm-lined pool area and beach club, Faena Playa, which is situated on 100,000 sq. ft. of pristine white sand. For dinner, guests can partake in contemporary Argentinian grub at Los Fuegos by Francis Mallman, or modern Asian dishes at Pao by Paul Qui at the Dome. The hotel’s 3,000-sq.-ft. Faena Theater shows nightly cabaret-style revues for guests and the public alike, performed by musicians, dancers and singers from across the world. Room rates start at $745 per night. For more information, call (305) 534-8800 or visit faena.com/miami-beach. 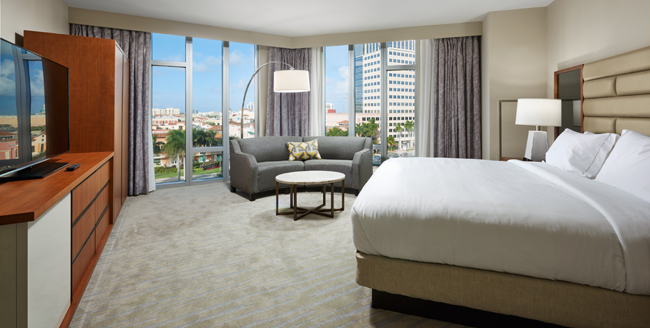 The 1-bedroom City View suite at the Hilton West Palm Beach. The 400-guestroom Hilton West Palm Beach opens tomorrow, Jan. 29, in downtown West Palm Beach’s cultural hub. Guests of this new lifestyle property are within reach of the city’s best art, entertainment and shopping outlets, including The Kravis Center for Performing Arts, The Norton Museum of Art, the Henry Morrison Flagler Museum and historic Clematis Street, as well as the open-air CityPlace shopping center, located across the street, which offers more than 100 stores, ranging from upscale boutiques and restaurants to bars and nightlife venues. However, the city’s newest dining and entertainment are right at guests’ fingertip. The onsite Manor restaurant serves farm-to-fork dishes created by Tiger Woods’ former chef, Matthew Byrne. 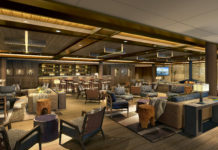 Custom bourbon and wine blends and beer are available at the Galley bar and can also be enjoyed poolside or cabana-side at the half-acre outdoor Palm Deck, where a DJ will play on special nights. Once the sun goes down, guests can play glow-in-the-dark lawn games right by the pool area. Room rates start at $259 per night. 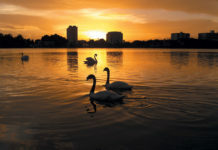 For more information, call (561) 231-6000 or visit www3.hilton.com/en/hotels/florida/hilton-west-palm-beach-PBIWPHH/index.html. 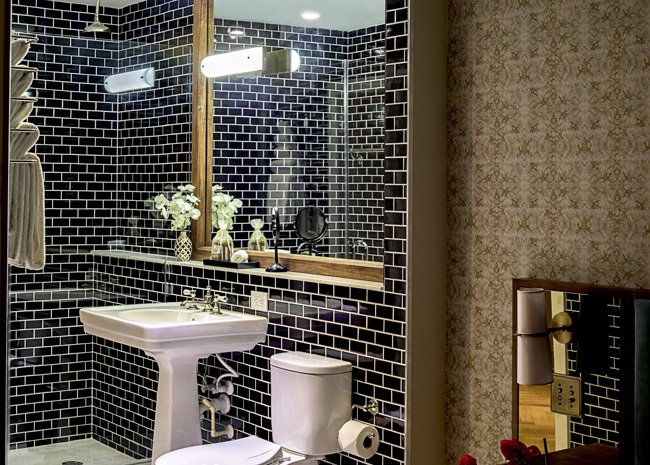 An inside peek at one of the bathrooms inside The Langford Hotel in Miami. Reservations are now open for The Langford Hotel in Downtown Miami, opening this March. The 126-guestroom property is housed in the former location of the Miami National Bank, featuring Beaux-Arts architecture, a reflection of its old-Miami roots, and artwork created by local artists, an embracing of the present day forward-looking style of Miami. In the Sky Lobby, guests can grab a coffee, or a drink, at the coffee bar and lounge before or after checking in. Next to the lobby is a petite bibliotheque stocked with a curated selection of books and magazines on various subjects. At the onsite PB Station Restaurant, a chef-driven concept by the PubbellyBoys partners, chef Guillermo Concha puts a unique twist on classic small plates dishes featuring local and seasonally sourced produce, seafood and proteins. At PB Station’s rooftop bar and lounge, the Pawn Broker, guests can sip on New American-craft spirits while looking out over the city streets below. In honor of the announcement, The Langford Hotel is offering guests a special introductory room rate starting at $219, including continental breakfast for two. For more information, call (305) 537-7040 or visit langfordhotelmiami.com. 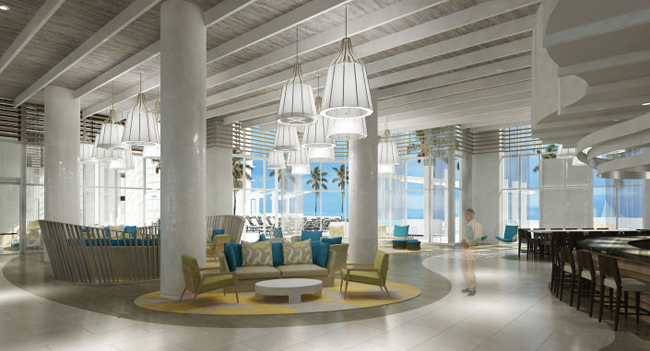 A rendering of the lobby at the upcoming Wyndham Grand Resort Clearwater Beach. Nestled along Florida’s glittering Gulf Coast, the 450-guestroom Wyndham Grand Resort Clearwater Beach on South Gulfview Boulevard at the north end of the prominent Beach Walk, is scheduled to open in early 2017. The $175 million mega-resort will span 700,000 sq. ft, featuring a large outdoor pool complex, a spa, and several restaurants accessible from Beach Walk. 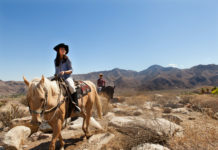 For more information, visit wyndhamworldwide.com.